The only extra comment I would add is that there are ways to do New Testament (not OT, however, like the SESB offers) textual criticism in BibleWorks. Metzger's Textual Commentary is included in BW7 and linked to the text. Pasquale Amicarelli compiled a text criticism module (check the first entry in the thread; it says the link is dead, but it is actually valid) integrated with BW7 that draws upon all his work at laparola.net. It's great. 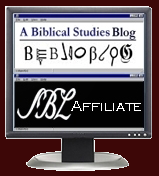 Check out the other Textual Criticism modules posted at the BibleWorks blog. There are some great manuscript resources, but you will especially want to download Wieland Willker's Textual Commentary on the Gospels also compiled by Pasquale.